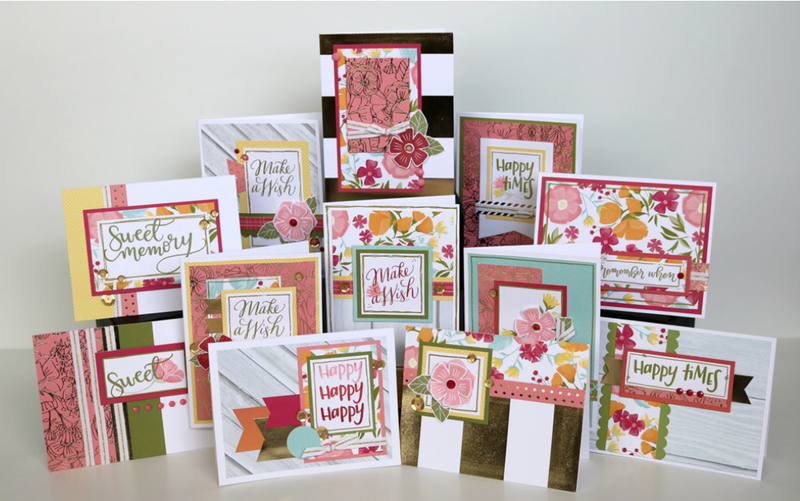 gabby sews: New Catty and Awesome Promotions!! New Catty and Awesome Promotions!! Hi all! 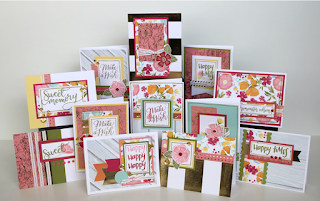 Today a new Close To My Heart Catalog launches (here's a link: http://reneprice.ctmh.com/ctmh/products/online-idea-book.aspx) and we have three great promotions this month too! 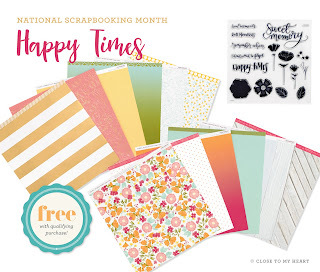 It's National Scrapbooking Month and CTMH is celebrating!! 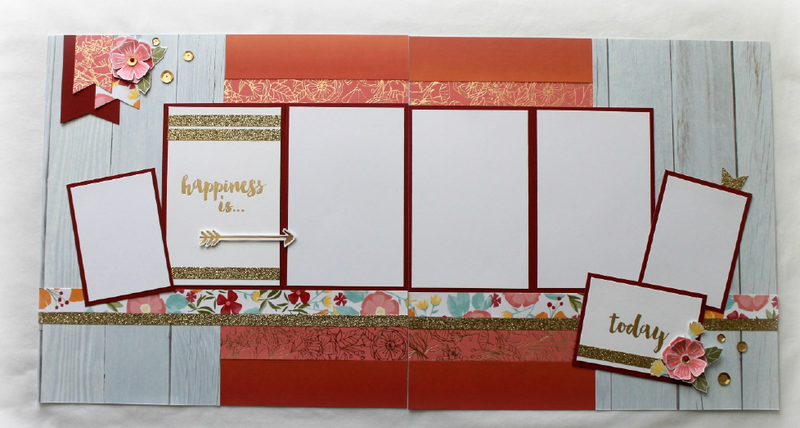 The first promotion is a limited paper pack called Happy Times that you can get for FREE with any qualifying purchase of $60 (or you can purchase it on it's own for $14.95). 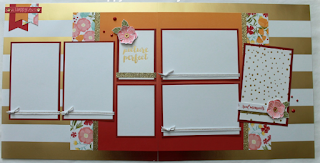 It has 14 beautiful 2-sided papers which feature florals, stripes, gold foil details, and more! The second promotion is a gorgeous D-size stamp set to coordinate with the Happy Times paper. 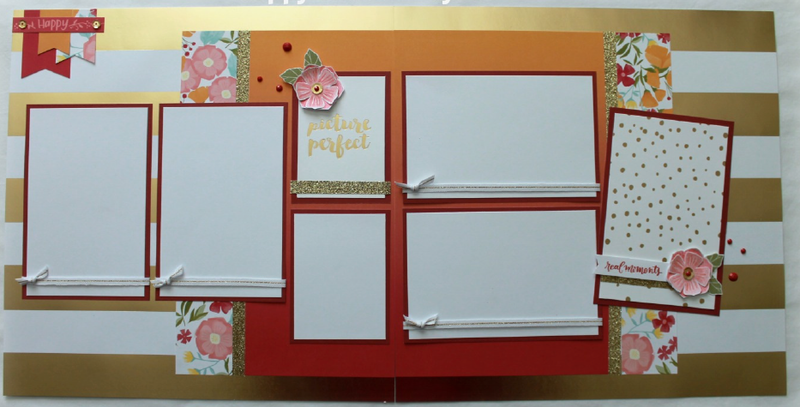 This stamp set features some buildable flowers, leaves, and some sweet sentiments that have so many uses for card making, scrapbooking, and creating pocket albums! This set costs $17.95 and includes 18 pieces. 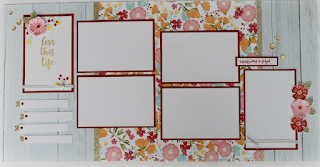 The third promotion is an exciting one for me because I think CTMH has the absolute best photo albums. 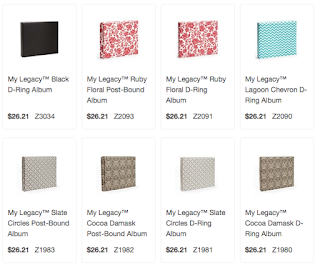 We carry both post bound and 3-ring binders. This month they are on sale for 25% off while supplies last. That makes each album only $26.21 each! I know you can get cheaper albums at the big box stores and I've bought those myself. However, what I've noticed about the CTMH albums is that I don't experience the cracking of the interior liners and I've opened and closed the 3-ring ones untold amounts of times and they still line up perfectly - don't you hate it when they go all cattywompus?!?! And finally the fourth promotion is our Stamp of The Month for May, Celebrate with Cake. You can get this stamp for $5 with any $50 qualifying purchase. 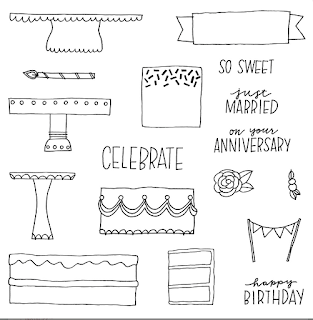 It's another buildable stamp specifically designed for birthdays, weddings, and anniversaries. And...my 50th birthday is coming up this month so I like to think they created this stamp set just for me!! lol It comes with 17 pieces including cake stands and layers, flowers, banners, and four sentiments. 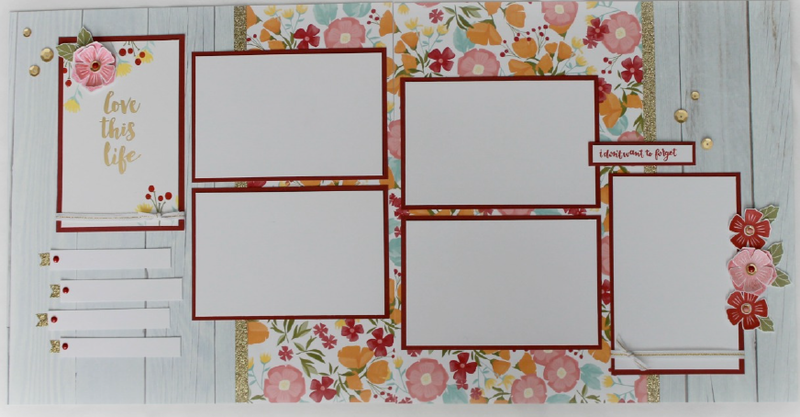 As an added bonus if you place at least a $60 qualifying purchase, I will be emailing you instructions you can use with your free paper packet to create these six scrapbook pages or 12 cards! !